Grazing rights are inherently tenuous because agencies continually reallocate rangeland resources and adjust -so-called grazing privileges to meet changing political conditions. Moreover, without the right to acquire grazing permits for conservation uses, environmental groups are forced to rely on these changing and uncertain political processes rather than individual market transactions. Reposted from Free Range Report. How to resolve competing demands over the western range is the most challenging and important federal grazing policy question today. This question, explored in the context of the federal grazing system, can be examined within the raid-or-trade framework introduced by Anderson and McChesney to explain violence on the American frontier. Anderson and McChesney modeled an important decision that white settlers and Indians faced when conflicts arose over land claims: Would the two groups fight or negotiate to resolve disputes? Or in other words, would they raid or trade? According to Anderson and McChesney, the answer depended on the relative costs of raiding and trading. If the costs of fighting decreased, perhaps because one side developed superior weaponry or commanded significantly more manpower, then disputes were more likely to turn violent. But if the costs of negotiation fell, perhaps because a tribe’s land rights were clearly defined and recognized by other tribes, then groups were more likely to bargain to get what they wanted. Trade, after all, is mutually beneficial. Fighting is costly. Looking through the frontier accounts of Indian-white relations, Anderson and McChesney found that this straightforward economic logic explained much about the interactions between the two competing groups. The raid-or-trade theory extends beyond the old western frontier, however, and is also helpful for understanding modern-day conflicts over western rangelands. On federal grazing lands today, it is simply too easy to raid and too costly to trade. Environmental groups, for instance, use policies such as the Endangered Species Act and the National Environmental Policy Act as regulatory weapons to force restrictions on federal grazing to protect land and species. Raids like the one on Cliven Bundy’s ranch are common across the West, as ranchers’ grazing permits have been reduced or suspended by the federal government at the behest of environmental groups or as a result of decisions coming through the legal system. Because federal grazing permits are attached to specific base properties, raids such as these can cause substantial losses for ranchers, creating considerable controversy and fueling bitter political battles. The institutions that govern federal grazing lands have failed to evolve to accommodate new environmental demands in a manner that encourages trading instead of raiding. The blueprints of the federal grazing system were conceived at a time when environmental demands were far less prevalent. Today, however, that system has proven unable to reconcile competing environmental demands in an effective or cooperative way. In particular, current federal grazing policies impose significant barriers to resolving conflicting demands through trading. Competing user groups have little or no means to exchange rights to federal rangeland resources. In contrast to other areas of western natural resource management, such as western water law, in which many states allow environmental groups to purchase water rights from agricultural rights holders and hold them for conservation purposes, no similar trading mechanism has emerged on a large scale within the U.S. federal grazing system. As a result, raiding is far more common than trading as a means of resolving rangeland disputes on federal land. The raid-or-trade model provides a clear and useful lesson for rangeland management: If property rights are well defined and transferable, then disputes among even the most diverse groups are more likely to get resolved peacefully and in a mutually beneficial way. Therefore, if grazing rights are clear and tradable, then conflicts over the federal rangeland are more likely to get resolved through trading. Thus, finding ways to define and secure grazing rights will encourage more trading and less raiding on federal rangelands. As Mr. Bundy discovered when his grazing rights were curtailed in the early 1990s, federal grazing permits are far from secure property rights. They can be reduced or revoked by the federal government at any time. Federal grazing rules refer only to “grazing privileges” rather than formal grazing rights, and the security of those privileges have been gradually weakened by environmental regulations. Despite repeated attempts to clarify and establish more formal rights to rangeland resources, the federal government has been unable or unwilling to grant secure grazing rights. There have been several proposals to establish secure and transferable forage rights on the federal rangeland as a means of resolving grazing disputes through trading. In 1963, Delworth Gardner, a leading agricultural economist, called for the government to “create perpetual permits covering redesignated allotments… and issue them to ranchers who presently hold permits in exchange for those now in use.” These new permits “would be similar to any other piece of property that can be bought and sold in a free market.” Likewise, resource economist Robert Nelson has called for the creation of a formal “forage rights” on federal rangelands. These rights could be traded to environmental groups to use for non-grazing purposes such as conservation. Despite these calls for reform, however, efforts to establish clear and secure grazing rights have had limited success. A few environmental groups have completed buyouts of grazing permits to protect grazing allotments, but these have occurred on a limited basis and are carried out at high costs. Other groups have purchased base properties but in some cases have been forced to graze cattle to comply with the use-it-or-lose requirements of the current federal grazing system. In other cases, environmental groups have been able to work within existing federal grazing policies to accomplish their conservation goals, but these efforts are limited. Despite these small victories, raiding is still rampant on federal grazing lands, and the reforms necessary to encourage more trading have not come. Environmental values are increasingly recognized as important and legitimate demands on the western rangeland, but they currently have little or no way to express themselves other than through controversial regulatory or legal processes, which have the potential to rip apart the social fabric of many western communities. To understand why raiding displaces trading on the federal rangeland, consider the history of the U.S. federal grazing system, which has evolved over more than a century. The evolution of federal grazing policy helps explain today’s complicated—and in many ways antiquated—federal grazing system. To many observers, the contours of today’s system defy explanation apart from this historical understanding, which helps explain many of the barriers to resolving modern-day conflicts on the western range. “There is perhaps no darker chapter nor greater tragedy in the history of land occupancy and use in the United States than the story of the western range,” notes a 1936 Department of Agriculture report. In the late nineteenth and early twentieth centuries, overgrazing was common on the public domain rangelands of the western United States. U.S. land policies gradually encouraged more settlers to venture westward, where they were met with vast open rangelands on which they grazed livestock, primarily cattle and sheep. 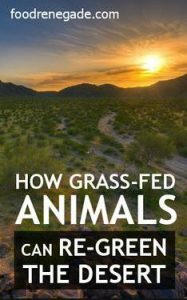 Today, this unregulated system of open-range grazing is often seen as the root cause of severe range depletion, erosion, and other devastating environmental consequences. However, as many historians have documented, the legacy of uncontrolled grazing on public rangelands was largely the result of federal policies that limited the establishment of property rights to the open range and, in effect, created an open-access rangeland regime. U.S. land policies such as the Homestead Act limited settlers to 160-acre claims, which were ill-suited for the realities of the western landscape. Because traditional agriculture practices were often impractical in the West’s dry and remote landscapes, grazing was the dominant land use of the era. Even with the expansion of homestead claims to 640 acres in 1916, this was still not enough land in many areas of the arid west to sustain livestock on a year-round basis. The General Land Office, the former agency responsible for public domain lands in the United States, refused to issue larger homestead claims that were better suited for the West’s arid landscape. Due to the land’s low carrying capacity, and the inability of settlers to establish rights to properties to sustain ranching operations, livestock owners relied upon the public domain without formal rights to the rangeland. Predictably, open-access conditions often prevailed during this period, resulting in overgrazing, erosion, and poor livestock conditions. Efforts to regulate public domain grazing began in the early twentieth century, but it was not until 1934 that Congress passed the Taylor Grazing Act, which created the foundation for the federal grazing system in the United States today. 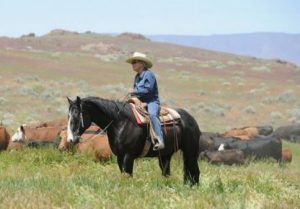 Responding to the perception that the self-interested private actions of ranchers were the root cause of overgrazing and abuse on the public domain, the act established federal control over grazing on the remaining public domain lands. The act was intended “to stop injury to the public grazing lands by preventing overgrazing and soil deterioration” as well as “to provide for their orderly use, improvement, and development.” The act also led to creation of the U.S. Grazing Service, which later merged with the General Land Office to form the Bureau of Land Management in 1946. The Taylor Grazing Act gave the Secretary of the Department of the Interior the authority to create regulated grazing districts on unclaimed public lands, issue permits to graze livestock on these lands, and charge a grazing fee. 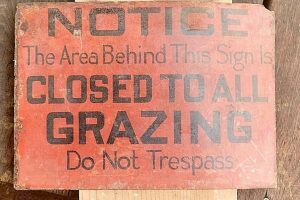 Ranchers were eligible to receive grazing permits if they met two conditions: First, they must have ownership of a nearby “base property” and second, they must demonstrate a recent history of grazing on the open federal rangelands. The base property, which may also include water rights, is often a nearby ranch that qualifies as a base for the permittee’s livestock operation, as determined by the BLM. Grazing permits cannot be held by or transferred to individuals that do not hold qualifying base properties. When these base ranches are sold, the permits are transferred along to the new property owners. Permits are issued for a period of up to ten years, and permit holders have priority over others to renew the permit for additional ten-year periods without competition. Enacted in 1976, the Federal Land Policy and Management Act (FLPMA) directs the BLM to manage its lands “under principles of multiple use and sustained yield” in a manner that protects “scientific, scenic, historical, ecological, environmental, air and atmospheric, water resource, and archeological values.” The act did not repeal the major provisions of the Taylor Grazing Act, but rather it expanded the other recognized uses of public grazing lands to include environmental and aesthetic values, as well as provided federal land planning procedures. FLPMA also marked the official end of homesteading by repealing the earlier homestead acts. The act established that the federal government was no longer in the business of disposing of public land, and instead would retain federal ownership of the remaining federal lands. The Public Rangelands Improvement Act (PRIA), passed in 1978, further clarified the BLM’s grazing management goals. The act specifically called for improving range conditions on BLM lands. The policy led to a number of conservation-oriented range management projects and cutbacks in grazing permit allocation levels, all aimed at promoting the improvement of public rangeland conditions. Together with FLPMA, the act shifted the BLM’s priorities from livestock and grazing management to the protection of specific rangeland resources, including riparian areas, threatened and endangered species, and historic and cultural resources. PRIA also provided a formula for determining annual federal grazing fees on both BLM and Forest Service lands. Grazing fees are paid based on the number of animals grazed per month, known as animal unit months (AUMs). PRIA was designed to establish an “equitable” grazing fee that ensures that the western livestock industry is protected from significant economic disruptions. The grazing fee formula is adjusted each year based on three factors: (1) the rental charge for grazing cattle on private rangelands, (2) the sale price of beef, and (3) the cost of livestock production. Annual fee adjustments cannot exceed 25 percent of the previous year’s fee. The minimum fee that can be charged is $1.35 per AUM. Since 1981, the federal grazing fee has ranged from $1.35 per AUM to $2.31 per AUM. The federal grazing fee in 2015 was $1.69. The enactment of FLPMA and PRIA, along with the new BLM regulations promulgated in 1995, highlights a longstanding debate over the nature and security of grazing rights to federal rangelands. Do ranchers have secure grazing rights to public lands, or do they merely have grazing privileges that can be reduced or revoked by federal agencies? This question has been at the center of many rangeland conflicts over federal range policy. The question still remains unclear today. Public land agencies insist that grazing permittees do not have actual property rights to rangeland resources. Indeed, the Taylor Grazing Act speaks only of grazing “privileges,” not formal rights. The act states that the secretary of the Interior can specify “from time to time numbers of stock and seasons of use.” However, the act also states that grazing privileges “shall be adequately safeguarded.” Moreover, in many ways, grazing permits have historically been perceived as implying formal grazing rights. Federal capital gains and estate tax calculations reflect the value of the grazing permit. Ranchers’ base property values are affected by the grazing permits attached to them. The values of grazing permits are effectively capitalized into the value of these base properties. Banks collateralize loans to ranchers on the basis of grazing permit values. In effect, grazing on federal lands has historically been treated as a right in practice, even if only considered a “privilege” on paper. The U.S. Supreme Court took up several related issues in Public Lands Council v. Babbitt (2000). The Court affirmed the BLM’s authority to reduce grazing levels to comply with new environmental laws and upheld the 1995 regulations that redefined grazing preferences. The Court also took up the issue of whether environmental groups could acquire grazing permits for “conservation use,” a practice that was prohibited under the existing rules. Specifically, the Court focused on whether grazing permittees were required to be engaged in the livestock business. In the end, the Court upheld an appeals court ruling that a BLM regulation that allows conservation use but excludes livestock grazing for the full term of a grazing permit was invalid. Apart from the legal debate over grazing rights and privileges, the inability of the federal government to clearly define property rights to rangeland resources has contributed to the rangeland health issues on federal lands. Economists such as Gary Libecap have argued that insecure tenure encourages overstocking and discourages investments in rangeland improvements. Libecap identifies “fundamental flaws” in the current institutional arrangements that rely on bureaucratically assigned grazing rights. Since bureaucrats do not hold property rights to the rangeland resources, they do not bear the costs or receive the benefits of their management policies. As a result, Libecap argues that grazing rights are inherently tenuous because agencies continually reallocate rangeland resources and adjust grazing privileges to meet changing political conditions. Moreover, without the right to acquire grazing permits for conservation uses, environmental groups are forced to rely on these changing and uncertain political processes rather than individual market transactions. Even today, despite federal policies intended to protect and preserve rangeland conditions, rangeland health suffers. In 1994, the BLM reported that rangeland ecosystems are still “not functioning properly in many areas of the West. Riparian areas are widely depleted and some upland areas produce far below their potential. Soils are becoming less fertile.” In particular, the agency concluded, riparian areas “have continued to decline and are considered to be in their worst condition in history.” According to the BLM, nearly a quarter of current BLM grazing allotments are not meeting or making significant progress toward meeting the agency’s own standards for land health. A recent assessment of BLM grazing practices by Public Employees for Environmental Responsibility, a watchdog group, found that 29 percent of the agency’s allotted lands (16 percent of allotments) have failed to meet the BLM’s standards for rangeland health due to livestock impacts.